Visit www.mypostonline.com.my, click on register and fill in the information needed. 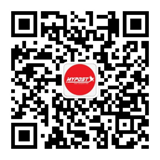 We support logging in with Facebook and Wechat accounts. 02 | Deliver to our warehouse. Have the product you would like to send back delivered to our warehouse, all available warehouse are shown in our website. 03 | Provide your tracking number. Login to our member’s area, Click on “Add Parcel”, provide us with your tracking number to claim your parcel. 04 | Fill in the package information. Select the parcel you want delivered in the submit orders section. 05 | Submit a delivery order. 06 | Provide shipping information.